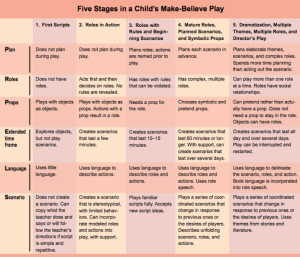 Dr. Leong and Dr. Bodrova include a clear guide delineating critical elements and stages in make-believe play. Please read their article as it includes wonderful and accessible information in helping us guide our children in play. 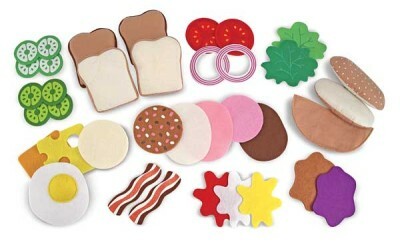 During our Social Adventures food theme weeks, our kids love to play deli with pretend food so I’ll use that theme to illustrate portions of Drs. 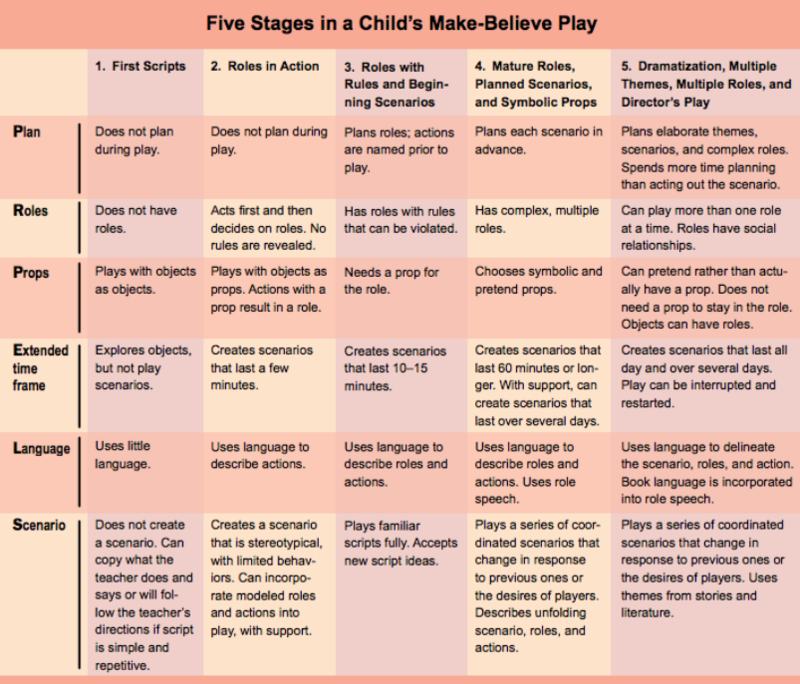 Leong and Bodrova’s framework for the stages of pretend play. Plan: Initially our kids required a great deal of help to plan their play. They were then able to move into planning roles leading to planning scenarios. For example, the deli person initially knew he needed to stand behind the meat counter. He eventually planned words and actions such as, “Would you like cheese on your sandwich?” or “Would you like a drink with that?” He began to ask if his customer wanted the food here or to go and was able to tell the customer how much his meal cost. This was a far cry from initially standing behind the counter! Roles: Our little players initially bounced back and forth between roles. For example, the customer grabbed the food to make his own sandwich and the deli person gave money to the customer. Over time, the kids learned that each child had a role with rules. For example, the customer never grabbed the food from the counter. Props: In the beginning, the kids needed to have objects represent themselves. The play food was play food, the cash register was a cash register. As the play became more involved, they began to imagine other types of props they wanted but didn’t have access to. So they used other objects representationally. If they didn’t have a ketchup bottle, they grabbed a red beanbag to represent ketchup. Eventually, they were able to imagine items without holding anything concrete in their hands. Extended time frame: This is one of my favorite aspects of pretend play. Initially, kids only played for a few minutes. For example, a customer entered the deli, ordered one sandwich and left – end of story. However, as the kids played day after day, week after week, switching roles, they began to imagine and elaborate on the story. One customer planned a birthday party and came in to make a large order. The deli person didn’t have enough food so had to call and order more from a delivery person. They then decided they needed a party store for additional supplies. When kids are able to play the same pretend play theme over time, they really get into it! The Little Red Hen (Makes a Pizza) Who Wants Lemonade?